Iqbal villas are bigger than 5 marla homes launched earlier which measure 25×45 and lie in precinct 11, whereas iqbal villas measure 25×55 which gives you a spacious accomodation at a prime location in bahria town karachi. If you ever visit Bahria Town, you will be able to see many structures of under construction houses having resemblance of 5 marla elevation in precinct 2 just beside Quaid Villas. These are Iqbal villas and booking has just launched indirectly through authorized agents. Since these villas are already under construction, you do not get extended payment plan. Total price of these villas is 98 lac rupees with 32 lac rupees down payment and remaining 66 lacs to pay in 6 quarterly installments of 11 lac each. That means it is 1.6 year installment plan and possessions should be handed over within the given time. 50 thousand processing fee also applies which need to paid along with down payment. This is a good opportunity for those who are looking for early accomodation in bahria town karachi and want to stay close to the entrance area. Although the given price is a bit higher for this size of villa compared with earlier launches, yet the current status and location of these villas justify these prices to some extent. Iqbal villas are single unit double storey houses having 3 bedrooms with attached bath, drawing, dining, lounge and kitchen. From the elevation, these villas seem to have same layout as of 120 SQY homes located in precinct 11b, however these villas should be more spacious with bigger rooms. Since Bahria Town has launched these villas indirectly through authorized dealers, therefore you can book from authorized agents across the country. Pay order of downpayment and registration fees will need to be submitted along with your documents (cnic copies and photo) and forms will be available from authorized agents which need to be filled. 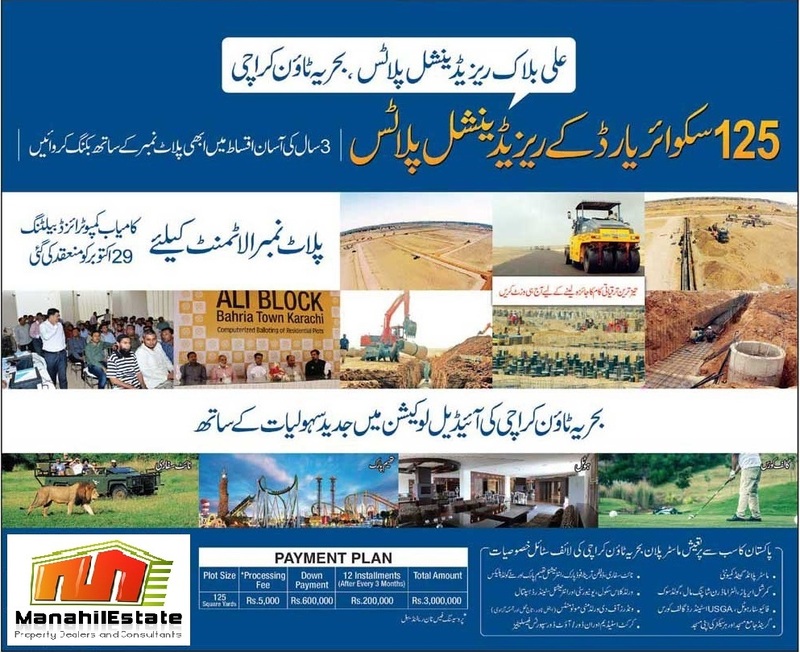 If you are interested to book Iqbal Villas, you should make your decision fast as there are limited options available and bulk buying and bata trading has started already.